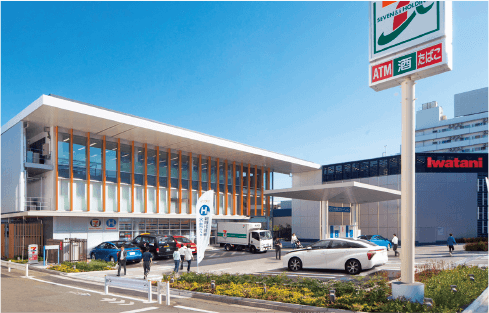 As same as gasoline cars are refueled at gas stations, a hydrogen station is the place FCVs are filled up with hydrogen. The time to refuel is about 3 minutes to full the tank. The externally procured hydrogen is compressed by the compressor and stored in the accumulator. When filling hydrogen gas rapidly in FCV tank, temperature rises by adiabatic compression, so in order to prevent rise of tank temperature, precooler sufficiently cools hydrogen before filling FCV with hydrogen from dispenser. 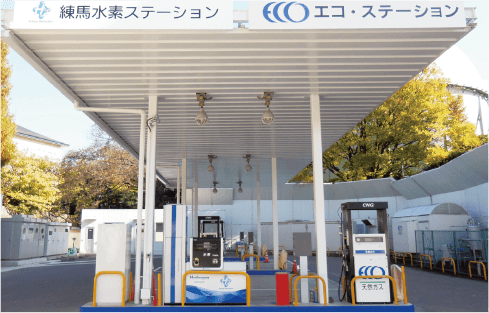 There are 3 types depending on the difference of hydrogen supply method at hydrogen station. 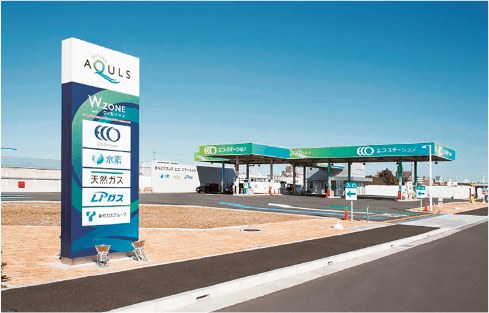 In a hydrogen station, hydrogen is produced from city gas, LP gas, etc. 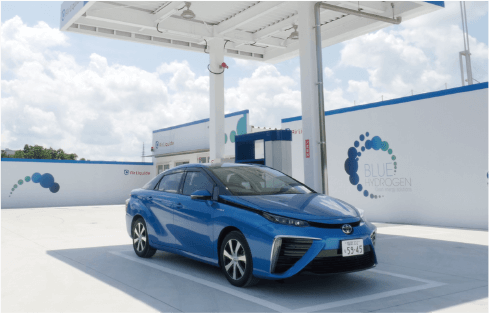 in the hydrogen station, and business operators fill and sell hydrogen for FCV. 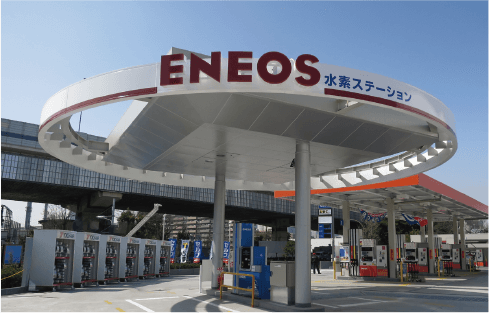 Business operators: companies that have hydrogen sources such as city gas and LP gas, etc. Business operators: companies that procure hydrogen from the supplier. Hydrogen station is loading hydrogen filling devices on truck. 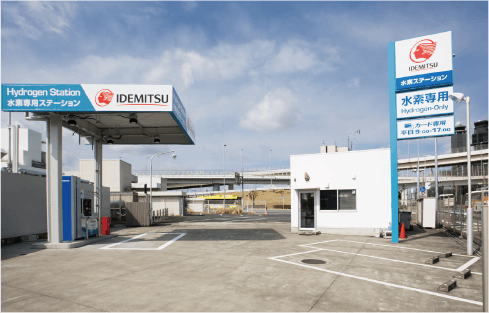 Hydrogen stations are operated independently, and are deployed in conjunction with facilities of various industries. Copyright ©JAPAN H 2 MOBILITY All Right Resereved.